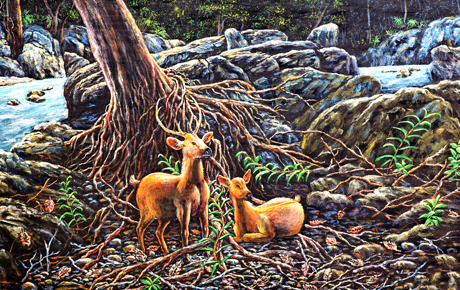 Hide deals from seller "Countryside Wildlife Art Gallery & Gifts"
Hide deals from category "Art Galleries"
Limit 1 per person and 1 per transaction. Valid toward regularly priced merchandise. Promotional value expires 365 days after purchase. Embrace your wild side with this deal for 50% off merchandise from Countryside Wildlife Art Gallery & Gifts in Kenosha ($10 value). This quaint shop and gallery houses a wide selection of Americana, from artwork and flags to gift items and knick-knacks. Gordy, owner of Countryside Wildlife Art Gallery, opened the shop more than 14 years ago. Today, the shop offers a variety of wildlife and sports art as well as Gordy’s framing services. This flag headquarters stocks everything from festive garden flags and sports banners to Army, Marine, Navy, Air Force and Coast Guard flags. Their selection of patriotic merchandise also includes military figurines and a variety of other items crafted in America. Decorate your home with this nostalgic deal. Art gallery and gift shop in Kenosha offering wildlife and sports art, framing, gifts and more.